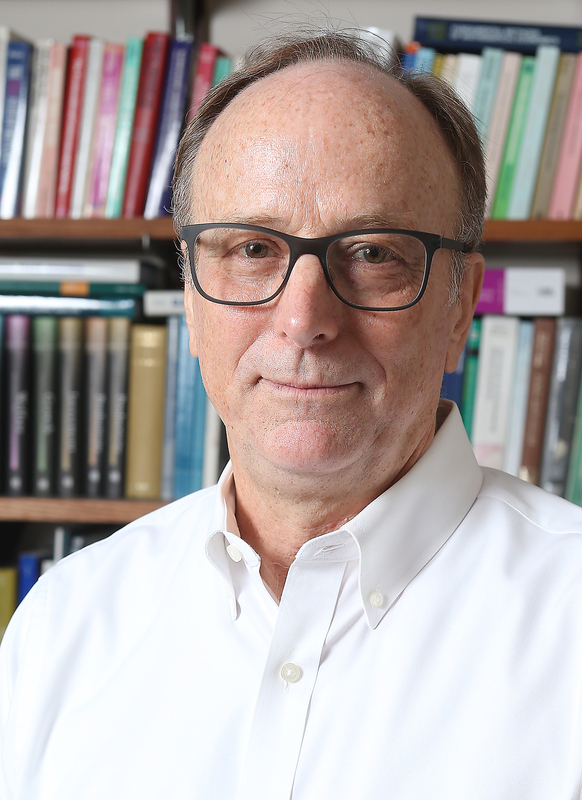 Professor Hertel has supervised more than 40 PhD dissertations in the Agricultural Economics and Economics Departments, as well as nine post-doctoral fellows and three MS theses . His students have gone on to work in a variety of different settings, including academia, national and international research institutions, as well as the private sector. A complete list of students, their dissertations and placements are listed below. Yao, Guolin, "Understanding China's Soybean Boom from a Global Perspective", 2018. Placement: Postfdoctoral Fellow, University of Maryland. Carrico, Caitlyn, "Three Essays in Global Supply Chain Analysis", 2017. Placement: Economist, OECD, Paris. Baniya, Suprabha (Economics), "Effects of Timeliness on Trade Patterns", 2017. Placement: Assistant Professor, Clark University. Peters, Jeffrey, "Electric Power and the Global Economy", 2016. (Three journal papers and a new version of the GTAP data base and model are based on this thesis). Placement: McDonnell Fellowship, Stanford University. Akgul, Zeynep, "Modeling Empircs and Policy Implications of Firm Heterogeneity in International Trade", 2015. (Two papers and a new version of the GTAP model are based on this thesis). Placement: Postdoctoral Research Fellow, Department of Agricultural Economics, Purdue University. Baldos, Uris, "Essays on Productivity Growth in Agriculture", 2014. (Two published papers and part of a textbook are based on this thesis). Placement: Postdoctoral Research Fellow, Department of Agricultural Economics, Purdue University. Liu, Jing, "Essays on the Land-Water-Climate Nexus", 2014. (Two published papers and one submitted journal article are based on this thesis). Placement: Postdoctoral Research Fellow, GEOSHARE Project, Purdue University. Hussein, Zekarias, "Three Essays on Climate Change Mitigation and Poverty in Developing Countries", 2014. (One published and one draft journal article are based on this thesis). Placement: Research Fellow, US-EPA through the ORISE Felllowship Program. Ifranoglu, Zeynep Burcu, "Three Essays on the Interaction between Global Trade and Greenhouse Gas Mitigation Agreements", 2013. (Three submitted journal articles are based on this thesis). Placement: Postdoctoral Research Fellow, Center for Global Trade Analysis, Purdue University. Avetisyan, Misak, “Essays on the International Trade Impacts of Climate Policy”, Ph.D. Dissertation, 2011. (Three journal articles have so far been based on this thesis). Placement: Post-doctoral Fellow, University of Southern California, currently Assistant Professor, Texas Tech University. Leister, Amanda, “Special Safeguards in International Trade”, Ph.D. Dissertation, 2010. Placement: Research Economist, Economic Research Services, USDA, currently Assistant Professor, Colorado State University. Verma, Monika, “Trade, Market Volatility and Poverty”, Ph.D. Dissertation, 2010. Placement: Postdoctoral Fellow, Stanford University, currently Economist with Wageningen University-LEI. Villoria, Nelson, “Three Essays on the Geography of International Trade”, Ph.D. Dissertation, 2009. Placement: Research Asst. Professor, Purdue University, currently Assistant Professor, Kansas State University. Mirza, Tasneem, “Infrastructure Reforms and Prospects for Trade”, Ph.D. Dissertation, 2009. Placement: Young Professionals Program, Asian Development Bank, currently Economist United Nations Development Program. Syud Amer, Ahmed, “Outsourcing: Opportunities and Challenges for the US and India”, Ph.D.
Dissertation, 2008. (Three conference papers, one journal article, one working paper have been based on this thesis). Placement: Consultant, The World Bank, currently Economist, The World Bank. Grant, Jason, “Tariff Line Analysis of US Dairy Production”, Ph.D. Dissertation, 2007. Placement: Assistant Professor, VPI University, now Associate Professor. Golub, Alla, “Projecting the Global Economy to 2025: A Dynamic General Equilibrium Approach,” Ph.D. Dissertation, 2006. Placement: Postdoctoral Research Fellow, Purdue University, currently Economist with the Center for Global Trade Analysis. Valenzuela, Ernesto “Poverty, Vulnerability and Trade Policy in General Equilbrium,” Ph.D. Dissertation, 2006. Placement: Economist, The World Bank, currently Director Center for International Economics, University of Adelaide. Ludena, Carlos “Technological Progress in Crops and Livestock: Implications for Food Trade,” Ph.D. Dissertation, 2005. Placement: Consultant, United Nations Economic Commission for Latin America, Santiago, Chile, currently Economist, Inter-American Development Bank. Keeney, Roman “Decoupling and the WTO: Farm Sector and Household Impacts in the United States,” Ph.D. Dissertation, 2005. Placement: Assistant Professor, Purdue University, currently Associate Professor. Ivanic, Maros, "Global Poverty Assessment in GTAP: Improving the Data and the Model,” Ph.D. Dissertation, 2004. Placement: Economist, The World Bank, currently Economist with the International Monetary Fund. Itakura, Ken, "Dynamic Analysis of Japan’s Free Trade Agreements in East Asia,” Ph.D. Dissertation, 2004. Placement: Assistant Professor, Nagoya City University, Japan, currently Associate Professor. Reimer, Jeffrey J., “Testing the HOV Model in the Presence of Non-homotheticity and Traded Intermediate Inputs,” Ph.D. Dissertation, 2003. Placement: Assistant Professor, Oregon State University, currently Associate Professor. Placement: Agricultural Economist, International Livestock Research Institute, Addis Ababa, Ethiopia Currently Research Fellow, IFPRI. Liu, J., "Parameter Estimation and Measures of Fit in a Global, General Equilibrium Model,” Ph.D. Dissertation, 2001. Placement: Economist for a major credit card agency, Portland, Oregon. Acar, M., "The Role of Agriculture in the Turkey-EU Integration: Implications of Extending the Custom’s Union,” Ph.D. Dissertation, 2000. Yu, Wusheng., "Structural Changes in Consumer Demand and Implication for the World Food Market,” Ph.D. Dissertation, 2000. Placement: Economist, Danish Institute of Fisheries and Agricultural Economics, Copenhagen, currently Associate Professor, University of Copenhagen. Elbehri, A., "Economic Integration and Market Structure: An Empirical Analysis of the Morocco-EU Free Trade Area,” Ph.D. Dissertation, 1999. Placement: Economist, Economic Research Service, USDA, currently Lead Economist with the UN-FAO. Huff, K.M., "Uncovering the Sources of Uruguay Round Gains and Losses: A Welfare Decomposition Approach,” Ph.D. Dissertation, 1999. Placement: Assistant Professor, University of Guelph. Dimaranan, B., "Economic Growth, Trade Reforms and Agricultural Protectionism in Southeast Asia,” Ph.D. Dissertation, 1999. Placement: Postdoctoral Research Associate, Purdue University, current Research Fellow, IFPRI. Ianchovichina, E.I., "International Capital Linkages: Theory and Application in a Dynamic Computable General Equilibrium Model,” Ph.D. Dissertation, 1998. Placement: Economist, World Bank, currently Lead Economist, Middle East and North Africa Division. Swaminathan, Padma V., "Regional Integration in the Presence of Monopolistic Competition: Implications of Enlarging the European Union,” Ph.D. Dissertation. 1997. Lanclos, D.Kent, "Trade Policy and Endogenous Product Differentiation: An Application to Disaggregate Food Manufacturing Industries,” Ph.D. Dissertation. 1994. Placement: Post-Doctoral Fellow, University of Idaho, currently Economist, USDA Risk Management Agency. Gehlhar, M.J. "Economic Growth and Trade in the Pacific Rim: An Analysis of Trade Patterns,” PhD Dissertation. 1994. Placement: Economist, ERS/USDA, currently Economist with the Department of the Interior. Stiegert, Kyle, "Optimal Capacity in the Anhydrous Ammonia Industry," Ph.D. Thesis, August, 1993. Placement: Assistant Professor, Kansas State University, currently Professor, University of Wisconsin, Madison. Holloway, Garth, "An Investigation of Imperfect Competition in the Food Industries," Ph.D. Thesis, December 1990. Placement: Assistant Professor, University of California at Davis, currently on the faculty at the University of Reading, UK. Rendleman, Charles M., "Economywide Analysis of the U.S. Sugar Program," Ph.D. Thesis, June 1989. Placement: Economist, ERS/USDA. Currently Associate Professor, Southern Illinois University. Peterson, Everett B., "The Farm Retail Price Spread Revisited: A General Equilibrium Perspective," Ph.D. Thesis, May 1989. Placement: Assistant Professor, VPI, currently Associate Professor, VPI. Tsigas, Marinos E., "Estimation and Hypothesis Testing Using Dynamic Models of Firm Behavior," Ph.D. Thesis, May 1988. Placement: Economist, World Bank. Currently with the US International Trade Commission. Sukhum, Kajit, "Agricultural Land Rents and Factor Reallocation in a Growing U.S. Economy," Ph.D. Thesis, May 1988. Placement: Assistant Professor, Katesart University, Bangkok, Thailand, currently Head of the Intellectual Property Division, Department of Commerce, Government of Thailand. Ehui, Simeon K., "Deforestation, Soil Dynamics and Agricultural Develop¬ment in the Tropics," Ph.D. Thesis, December 1987. Placement: Rockefeller Post Doctoral Fellow, International Institute for Tropical Agriculture, Ibadan, Nigeria. Currently Sector Director, Agricultural and Rural Development for South Asia, The World Bank, and a Distinguished Agricultural Alumnus, Purdue University. Akridge, Jay T., "Cost-Output Relationships and Productive Efficiency in Farm Supply Firms," Ph.D. Thesis, December 1986. Placement: Assistant Professor, Purdue University. Currently Dean, School of Agriculture, Purdue University. Cai, Yongyang, 2013-2015. Dynamic stochastic analysis of global land use change. Placement: Associate Professor, Ohio State University. Steinbuks, Jevgenijs, 2010-2013. Long run land use change in the context of energy price, climate regulationa and climate impact uncertainty. Placement: Economist, The World Bank. Verma, Monika, 2010-2012. Climate volatility and commodity market instability. Placement: Postdoctoral Fellow, Stanford University. Rios, Ana, 2008. Poverty impacts of climate change. Placement: Economist, Inter-American Development Bank. Syud Amer, Ahmed, 2008-2009. Estimating land transitions. Placement: Economist, The World Bank. Golub, Alla, 2006-2008. Global economic analysis of climate mitigation policies. Placement: Research Economist, Center for Global Trade Analysis, Purdue University. Dimaranan, Betina. 1999-2001. Global economic analysis of growth, technological change and trade policies. Placement: Research Economist, Center for Global Trade Analsis, Purdue University. Currently Senior Research Fellow with IFPRI. Tsigas, Marinos. 1988-1990. CGE analysis of US tax policies as well as agricultural support. Placement: ERS-USDA. Currently an economist with the US International Trade Commission. McKinzie, Lance. 1983-84. Analysis of state level impacts of economic policies. Placement: Indiana State Utility Forecasting Group. Wang, H. “Estimation of a Demand System Using AIDADS,” M.S. Thesis, 1997. Stevens, J. A. "Evaluating the Impact of Korean Trade Policy: The Role of Intermediate Inputs,” M.S. Thesis, 1995. (One journal article was based on this thesis) Placement: Foreign Agricultural Service, USDA. Ianchovichina, E.I. "The Procompetitive Effects of Foreign Competition on Optimal Markups in the Presence of Imperfect Competition,” M.S. Thesis, 1994. Placement: Ph.D. Program, Purdue University.